Pancreatic cancer is a killer, with a terrifyingly poor five year survival rate. And one of the reasons that survival rate is so shockingly bad is because it’s difficult to detect and diagnose. In fact, your pancreas could be in trouble at this very moment. But if you don’t know the warning signs, you’d never realize it. So today, we’re going to touch on the five red flags that your pancreas could be in trouble. But first let’s take a quick tour of this hardworking organ. Your pancreas is located deep inside your abdomen. It’s typically about six inches long and shaped something like a small banana. The pancreas is responsible for producing insulin which regulates your blood sugar. Most of us are familiar with that job. But this workhorse’s duties don’t end there. The pancreas also produces important digestive enzymes. Folks often say pancreatic cancer has no symptoms. But the truth is there are often some subtle warning signs. Many people who have had the cancer report having experienced them. They simply didn’t recognize them as red flags at the time. Alone each of these potential trouble signals may be nothing to worry about. But when they cluster together it’s time to take them seriously and get to the doctor. Safe not sorry should always be your goal. “Bathroom talk” can be a bit uncomfortable. Trust me I get it. But in this case, it could literally save your life. So let’s talk poop. Pancreatic tumors can suppress your digestive enzyme production. They can even block them from getting to your intestine altogether. This makes it difficult for your body to digest fatty foods. When that happens, your stool becomes pale in color and smellier than normal. And it will typically float on the water instead of sinking to the bottom. You may also notice an oily sheen on the surface of the toilet water. Keep in mind we all have a funky bowel movement from time to time. (Try our “What does your poop say about you?” quiz to find out if yours is normal.) So there’s no need to panic if you notice a temporary change in your stool. But do keep an eye on it. And if you see a pattern, and notice any other pancreatic cancer red flags, give your doctor a call. Countless people are diagnosed with diabetes every day. And of course, not all of those folks will get pancreatic cancer. In fact, the vast majority won’t. So there’s no need to be alarmed yet. 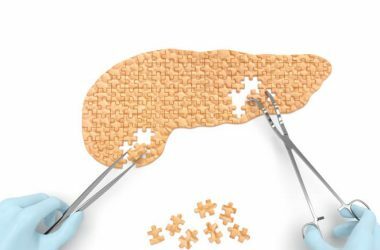 But 40 percent of people with pancreatic cancer were diagnosed with diabetes in the year or two before the cancer occurred, according to a study published in the journal Gastroenterology. So if you’ve been recently diagnosed—especially if it was a surprise and seemed to “come out of nowhere”—keep your eyes open for the appearance of any other red flags. Tumors can block the bile duct located at the head of your pancreas. When this happens, bilirubin builds up in your bloodstream causing the whites of your eyes and skin to take on a yellowish cast, a condition known as jaundice. Itchy skin, especially on your palms or the soles of your feet, is another surprising sign of jaundice that most folks miss. If you notice any yellowing, make an appointment to see your doctor as soon as possible. A deep gnawing type ache in your midsection, which may move to your back over time, could be a sign of pancreatic cancer. Unlike the sharp or stabbing pain you’d have with pancreatitis, this symptom can be so subtle it’s overlooked. Or it can be misdiagnosed as acid reflux, gas or even a muscle pull. Keep in mind that stomach aches or pains are common. So there’s no reason for alarm if you have some belly pain. But if you have a persistent ache—one that may go away temporarily when you lean forward—it’s worth having a talk with your doctor about it. Especially if you have any of the other warning signs on this list. If you find yourself, suddenly, losing weight without trying it could be a sign that you’re having digestive issues caused by a problem with your pancreas. Since pancreatic tumors can suppress or block digestive enzymes if you experience sudden weight loss combined with any other symptom on this list you should have it checked out. You’re your own best defense against pancreatic cancer. So keep your eyes open for any of these warning signs of a pancreas problem. And be sure to share this important information with your friends and family. You could end up saving a loved one’s life.